Born ADAM ANDROS. Prior to becoming Captain Euro, Adam Andros was a computer scientists and cyber software genius specialised in creating Virtual Reality Worlds. Adam was born in London. Due to his family background he has Italian, British and Spanish nationalities. Quite a European mix. Adam’s mother died just a few days before his 2nd birthday. Adam has no real memories of her except the small picture that he carries of her in his wallet. Adam never found out about the circumstances surrounding his mother’s death and his father was always very secretive about it. His father, Davide Andros, was a self-made millionaire and fanatic wildlife explorer and adventurer. This meant that a young Adam travelled around the world with him, giving Adam an international outlook, and exposure to many cultures and peoples. Through this, he learned to interact with others and forge strong relationships, gaining an appreciation for helping people with diverse backgrounds. His father was always extremely careful to ensure that his successes provided for his son, but also that Adam did not become dependent on him. Together, they lived modestly and he made sure to teach Adam the value of hard work and perseverance. Adam always felt very detached from the vast amounts of money which his father made; instead content to simply get on with life and pursue his computer and software interests, away from the need of material possessions. He was always very grateful that he was able to do this. From a young age, Adam learned to code games and software becoming a young tech entrepreneur. Adam loved computers and studied computer science becoming a software maverick. As an internet entrepreneur he started several successful virtual reality and cyber security start-ups that turned him into a young billionaire. Due to his wide travels and exposure to the world, Adam was very talented with languages, and is able to speak many languages conversationally. During a trip to the artic, his father discovers an ancient Viking ship and Adam joins him to explore the mysterious ship. Together they go on to uncover an incredible mystery inside the ship. During that incredible adventure, Adam is transformed, meets beautiful Donna Eden (Europa) and comes face to face for the first time with his arch-nemesis, Dr. Divider, the head of VIPERA crime syndicate. His father is then killed by Dr. Divider, who wants to steal their newly found treasures. From that day…things will never be the same for Adam Andros or Donna Eden who become Captain Euro & Europa and go on to create THE EUROPEAN SUPERFORCE unit on the request of European governments. They assemble a crack team of experts, including Erik (Sweden), Marcus (Britain), Elena (Italy), Pythagoras 1 (AI assistant) and Lupo (a European Grey wolf). 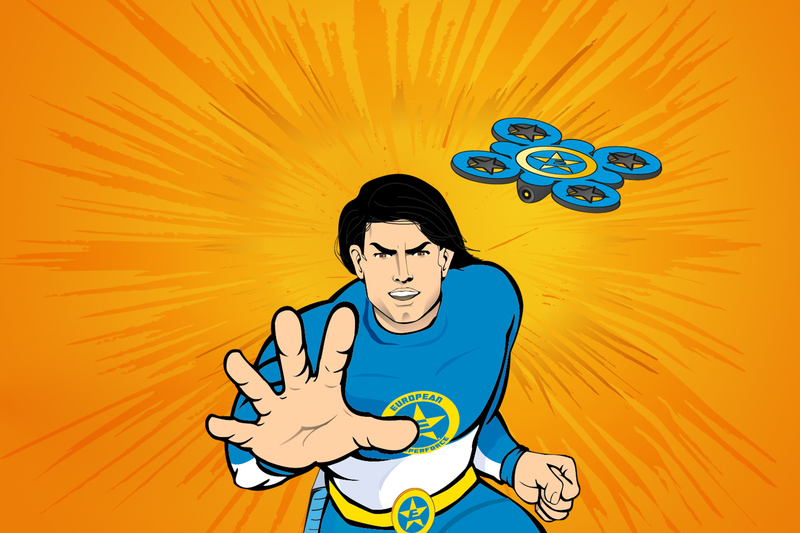 Together, they have the super team spirit, brainpower, high-tech gadgetry and strength to fight the VIPERA crime syndicate trying to divide Europe! Captain Euro is fluent in many languages and is highly adept at debating and communicating with people. His powers of persuasion and engagement are unrivalled. He combines these people skills with his natural affinity for technology, and his international “savoir faire” to protect Europe and carry its message of goodwill around the world. His natural skill with languages only makes him even better at his job. 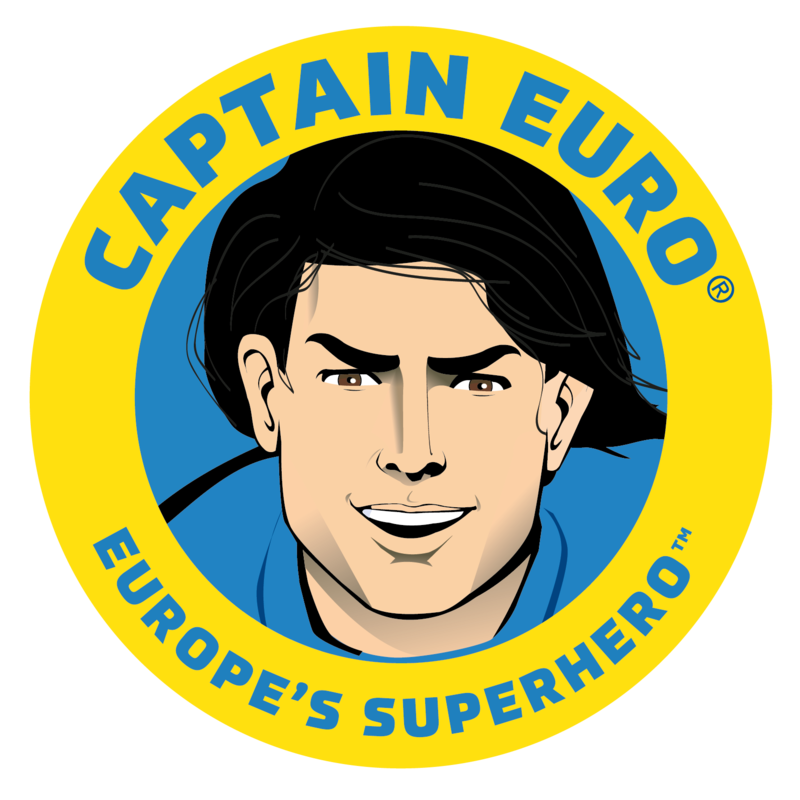 CAPTAIN EURO has taken on a difficult vow for a superhero – to use violence to fight as an absolute last resort. Instead, wherever possible, he uses intellect, culture, dialogue and logic rather than violence, to resolve difficult situations. Captain Euro is a big fan of European football, constantly monitoring new developments in LA LIGA, the Premier League, Serie A and the Bundesliga. He is a great lover of espresso coffee, and struggles to function without it. Favourite food? You guessed it! Mediterranean. When on the job, CAPTAIN EURO is a consummate professional, and everyone who has ever worked with him notes his impeccable manners, speaking abilities and persuasiveness. However, privately, and with his team, CAPTAIN EURO shows a much funnier, more relaxed side; and loves making jokes and wise-cracks. Some members of his team find his ability to switch between these two very different personas endearing and amusing, others find it perhaps slightly concerning. Captain Euro is in great physical condition. His favourite form of exercise is to play football and go on very long runs with Lupo, his loyal timber wolf. 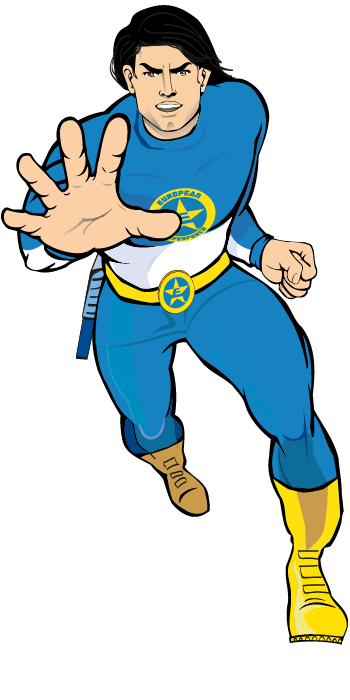 Captain Euro is a gifted martial artist, a skill he acquired as a child. One of his core principles as a fighter is that he learns these skills so that he may never have to use them. But the practice helps keep him sound of body and mind.